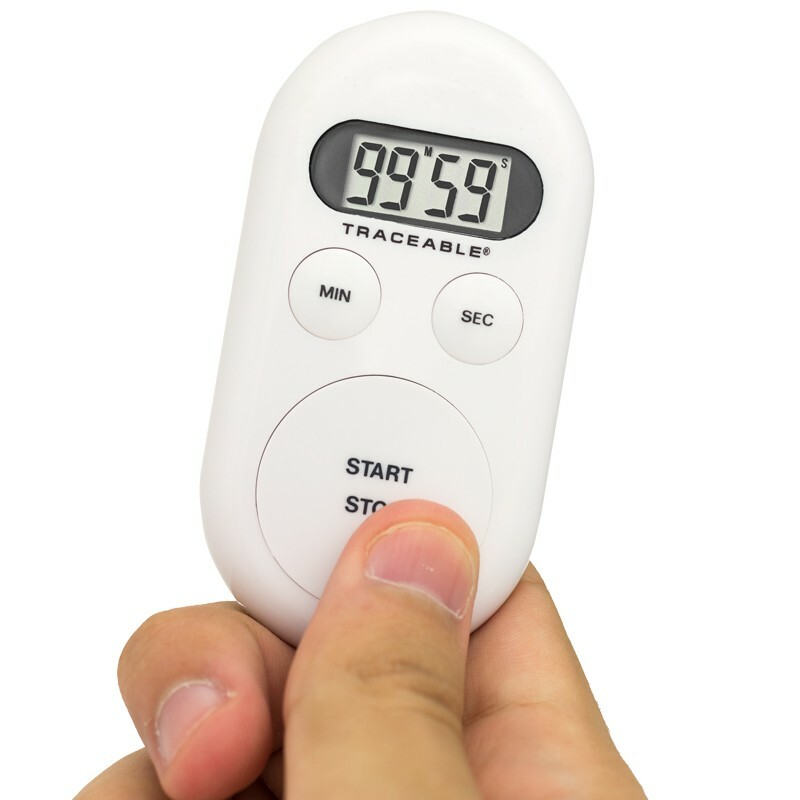 Simple three-key portable timer counts down from 99 minutes, 59 seconds in 1-second increments with 0.01% accuracy. 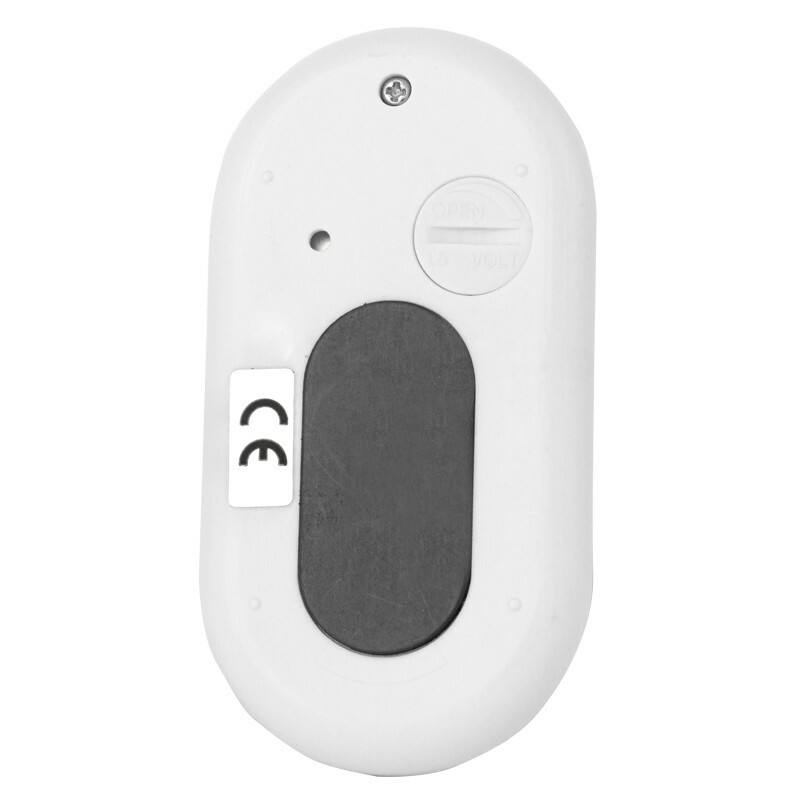 Place your Fingertip Timer on incubators, refrigerators, and ovens with included magnet on the back. Use supplied Velcro® mounting strips to place the unit on cabinets or walls. Handy Size (1-13/16 x 3-1/2 x 1/2 inches) also allows to be carried and placed anywhere else with ease. Three-key operation can be learned in less than 10 seconds. Everyone in the lab will enjoy using this always-at-your-fingertips timer. 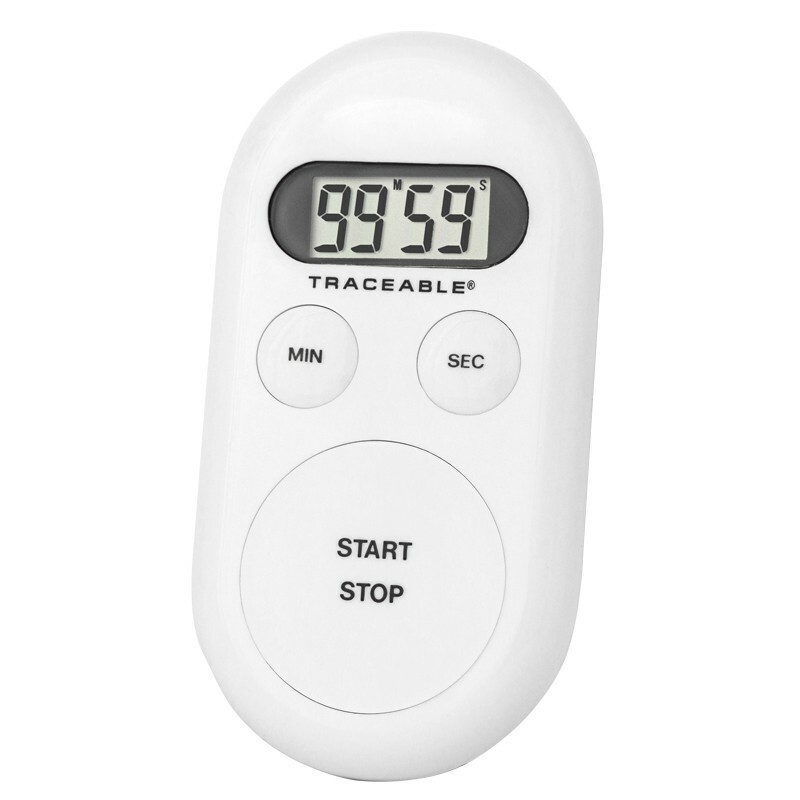 Fingertip Timer includes a repeat memory that saves the last programmed time, thus eliminating having to re-enter test times; Perfect for dedicating this unit to any specific repetitive task. Once countdown is complete, an alarm will sound. Manually turn alarm off or have the alarm automatically turn off after 30 seconds.